Looking for a great gift? 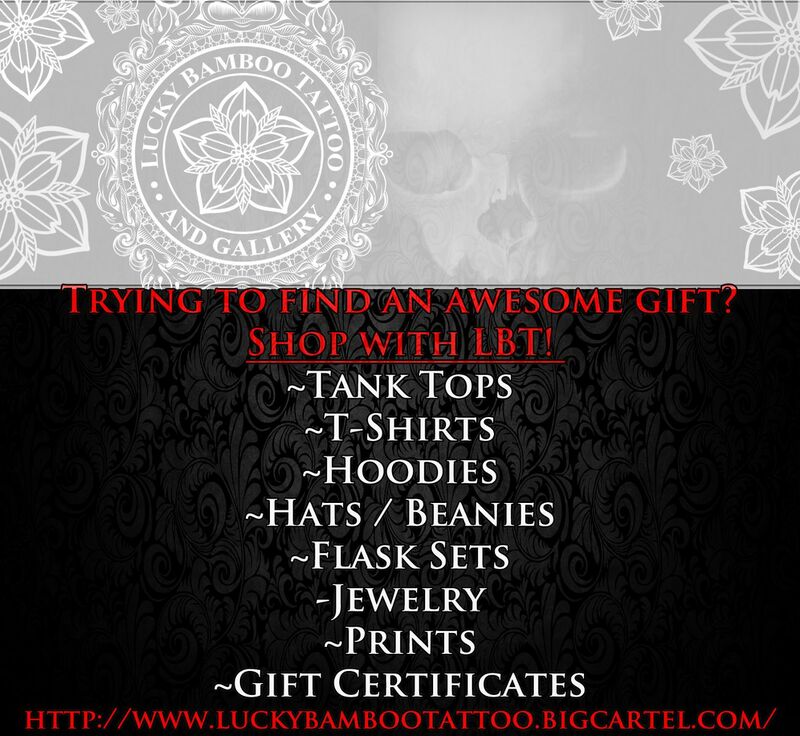 Shop with Lucky Bamboo Tattoo! We've got clothing, artwork, jewelry, gift certificates and more! Visit our online store at: http://www.luckybambootattoo.bigcartel.com/ , or stop in at the studio!